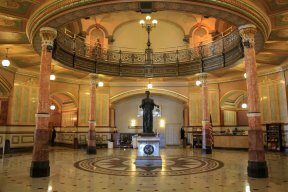 An increasing number of sexual harassment allegations involving elected officials to lobbyists has impacted the Capitol during a veto session on Tuesday morning. 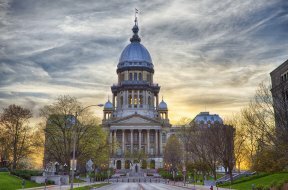 After thousands of women spoke out about the predatory behavior occurring in Hollywood, many women have been compelled to tackle the issue beginning in Springfield calling on Illinois Lawmakers to hold certain officials, lobbyists, and staffers accountable. Kady McFadden lobbies lawmakers for the Sierra Club and wants others to know their voice has power. “I’ve had my hair pulled, I’ve had hands up my skirt, I’ve also just been laughed off,” she said. 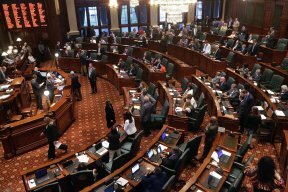 McFadden is among the women in Illinois politics speaking out, using a Facebook group “Illinois Say No More” and an open letter that details a culture of misogynistic and even predatory behavior that signers say happens on a regular basis. The Women’s Caucus includes Ald. Pat Dowell (3), Ald. Sophia King (4), Ald. Leslie Hairston (5), Ald. Michelle Harris (8), Ald. Susan Sadlowski Garza (10), Ald. Toni Foulkes (16), Ald. Milly Santiago (31), Ald. Deb Mell (33), Ald. Carrie Austin (34), Ald. Emma Mitts (37), Ald. Margaret Laurino (39), Ald. Michele Smith (43), Ald. Debra Silverstein (50). As of Tuesday afternoon, the open letter had more than 170 signatures from lawmakers, staffers and political consultants demanding change.